Have your child accompany you for your appointment Even before you make an appointment for your child to see a dentist, you should take your child along with you when you see the dentist for your own appointment. One of the best ways to show a child what an experience at the dentist is like is to let him (or her) watch while Mummy or Daddy sits in the dental chair. This is not advisable if you yourself have are afraid of seeing the dentist. Children pick up very quickly on non-verbal cues and will be able to sense your fear. If your partner is more comfortable seeing the dentist, then have your child follow your partner instead. Some dentists will facilitate the introductory session by allowing your child to "play" on the dental chair and give your child a mock dental check-up. The procedure will merely be to "count" the number of teeth your child has but it offers your child a comfortable and relaxing experience of sitting in the dental chair. Avoid pre-empting fear or pain If your child has never been to the dentist before, then he (or she) has no idea what it will be like. That also means he (or she) will not associate the dentist as a place to be feared or a place that may be associated with pain. So avoid offering too much unnecessary information to your child before the first appointment. Some parents unwittingly introduce fear into their children even before the first appointment by saying the wrong things. For instance, parents who have a personal fear of going to the dentist have a habit of telling their children that there is nothing to be afraid of, or that it will not hurt. However, such comments create suspicion in a child. Why would Mummy and Daddy talk about being afraid or pain if there really was nothing to be worried about? Maybe there is something to be worried about. Never use dental threats as disciplinary measures Some parents have a habit of using the scare tactic to instill good behaviour in their children. For instance: "Behave yourself or I'll take you to the dentist and have him pull out all your teeth!" If you must use the scare tactic, use a different example instead of a dental one because it will only make the task of taking your child to see the dentist that much more difficult when the need arises. 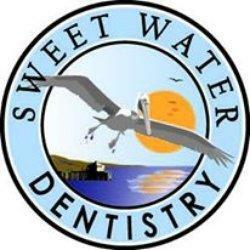 We here at SweetWater Dentistry want to make the visit to the dentist a positive experience. We try to make the child as comfortable as possible while they are here. Going to the dentist can be a scary place. If you would like to schedule a time to do a walkthrough with your little one before their first appointment please give us a call at 251-550-7770!